APC model aircraft propellers have been designed and manufactured in the USA since 1989. 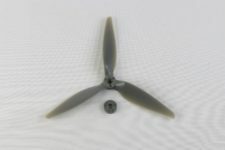 Our blade designs are the most efficient and silent injection molded propellers on the market. For more information see our engineering design and manufacturing pages.